Flea protection is an important part of cat ownership. A serious infestation is not only an itchy nuisance, but can also be dangerous for your cat. However, it’s important to keep safety in mind when it comes to flea treatment. Frontline Plus and Advantage II are two great products for feline flea prevention. Never use a product on a cat that’s intended for use only on dogs. 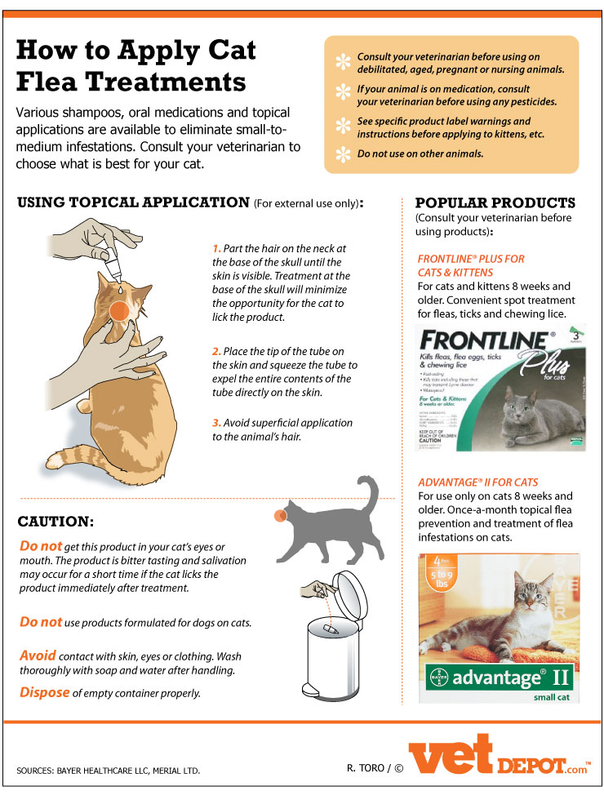 When using a topical product, it’s also important to avoid getting any solution in the cat’s mouth or eyes. Always follow the instructions on the package carefully and pay attention to weight bracket and age guidelines. Lastly, dispose of the empty packaging properly.